“Mr. Horton’s letter represents an important milestone by acknowledging what we have believed for some time that consolidation involving American Airlines is essential for all of the airline’s stakeholders,” said APA President Captain Dave Bates. 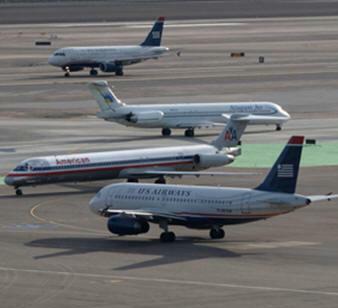 In April, the APA leadership and US Airways management along with the leaders of the Association of Professional Flight Attendants and Transport Workers Union jointly announced their support for merging the two carriers. The unions also announced that they had negotiated conditional labor agreements with US Airways management. Meanwhile, APA and AMR management have been engaged in negotiations throughout the restructuring process, with the APA board of directors voting to approve a tentative agreement with management on June 27. That tentative agreement is now subject to a ratification vote by the APA membership. The tentative agreement includes a 13.5 percent equity stake in the restructured airline. The results of the APA membership ratification vote will be announced on August 8. Founded in 1963, Allied Pilots Association is the largest independent pilot union in the United States. APA represents the 10,000 pilots of American Airlines, including 649 pilots not yet offered recall from furlough. The furloughs began shortly after the Sept. 11, 2001 attacks. Also, several hundred American Airlines pilots are on full-time military leave of absence serving in the armed forces. American Airlines is the nation’s largest international passenger carrier and fifth-largest cargo carrier.